We've only bloody gone and found another dreamboat band for you. On the mellower side of things, Eastern Barbers' muted vocals glide over jazz chords and under organ hums. Like rain falling from a bright, clear sky, Eastern Barbers let guitar lines trickle through double-tracked melody cracks on their new single 'Blue Flakes'. 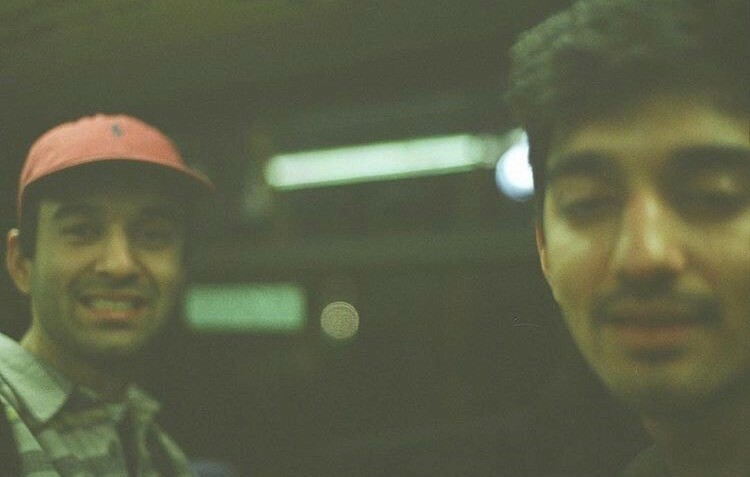 Brothers, Ross and James Fernandez hail from South-East London, which might have something to do with the melancholy desolation that sewn into their writing. EASTERN BARBERS: The scene in South-East is mental – I know it’s being commented on more and more so now, so I guess most people get what it’s like down there. It’s all more organic and natural than any other area and venue-wise there are so many little hidden gems dispersed in and around the residential areas. It’s weird 'cause growing up and roaming around our mum and dad always would point out bars like the Montague Arms where they would go to see the resident pianist who was blind, or the Amersham, where our dad had his first intimidating encounter with our mum’s older brothers. But, yeah, they would tell us stories of how these places used to be, so to be hanging out in them now is cool. Still got a lot of love for the indie bands from the 2000s – had a proper thing for bands like Cajun Dance Party, Late of the Pier and Tom Vek. Delving slightly earlier than that, probably… Ja Rule, LL Cool J, Fabolous ('Can’t Let You Go' is a banger). James is loving Jitwam’s LP. Today, I woke up to Moses Sumney’s album which is proper nice. Also been listening to a range of German hip-hop – currently on the new album from this guy from Hamburg, Estikay. She’s already made it but 'On Broadway' by Nancy Sinatra. We just went out to get some stuff to cook lunch, gonna make Okonomiyaki. Basically you just mix the Yamaimo powder and flour with water in bowl and add veg, egg and tenkasu. Then you fry the batter with pork and flip it up like a pancake. We’re working on putting together a video for ‘Blue Flakes’; back in the studio this weekend to finish adding live elements to some of the tracks we’ve been doing at home and hoping to get a little EP out at the beginning of 2018. And we’re working a lot with other cool acts and artists on visual stuff and photography bits. Eastern Barbers' 'Blue Flakes' single is out now.